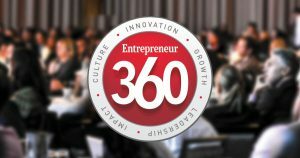 San Diego – December 19, 2018 – RippleNami, Inc., a provider of blockchain data visualization technology, announces today its designation as one of the “Best Entrepreneurial Companies in America.” Earning this distinction for a second year in a row by Entrepreneur Magazine, the Entrepreneur360™ List is an esteemed compilation delivering the most comprehensive analysis of private companies in America. Based on this study and forged by Entrepreneur, RippleNami is recognized as a well-rounded company that masters a balance of impact, innovation, growth leadership and value. “It’s no small feat to run in this race for the 2018 Best Entrepreneurial Companies in America,” said Jaye Connolly-LaBelle, RippleNami’s CEO and Chairman. “RippleNami takes considerable pride in representing San Diego’s innovation economy in its work throughout emerging nations in Africa. Working with African leaders to unleash their citizen’s economic potential through our technology solutions, makes it the best job in the world,” Connolly-LaBelle continued. RippleNami continues to execute on connecting 5 billion unconnected people to critical resources and services with an easy-to-use blockchain data visualization solution leveraging the proliferation of mobile phones. 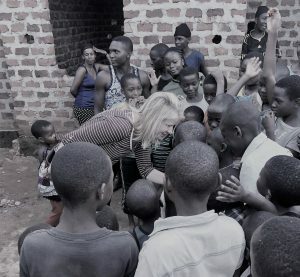 Headquartered in San Diego, California, RippleNami’s operations span across Kenya, Uganda, Sierra Leone, the United Kingdom, and Southeast Asia. Honorees were identified based on a comprehensive study of independently owned companies using proprietary algorithm and other advanced analytics. The algorithm was built on a balanced scorecard designed to measure five metrics reflecting major pillars of entrepreneurship: innovation, growth, leadership, impact and business valuation. For more on RippleNami, Inc., visit www.ripplenami.com. 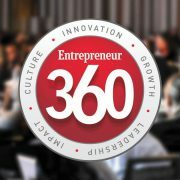 For additional details on the E360 List and the awardees visit: www.entrepreneur.com/360. For 41 years, Entrepreneur Media Inc. has been serving the entrepreneurial community by providing comprehensive coverage of business and personal success through original content and events. Entrepreneur Magazine, Entrepreneur.com, GreenEntrepreneur.com and publishing imprint Entrepreneur Press provide solutions, information, inspiration and education read by millions of entrepreneurs and small business owners globally. To learn more, visit www.entrepreneur.com. Follow us on Twitter or Instagram at @Entrepreneur and like us on Facebook at facebook.com/entmagazine. San Diego – July 9, 2018 – RippleNami, Inc., a provider of blockchain data visualization technology, honored as “Company of the Year” winner in the prestigious CEO World Awards in San Francisco, California on July 30, 2018. The coveted annual CEO World Awards program encompasses the world’s best in leadership, innovation, organizational performance, new products and services, CEO excellence studies, corporate social responsibility, and milestones from every major industry in the world. 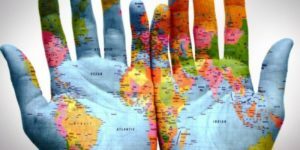 Organizations from all over the world submit nominations including public and private, for-profit and non-profit, largest to smallest and new start-ups. Judges from a broad spectrum of industry voices from around the world participated, and their average scores determined the 2018 award winners. Winners will be honored in San Francisco on Monday, July 30, 2018, during the annual SVUS Red Carpet Awards Ceremony Dinner in San Francisco. Attendees will feature finalists, winners, judges and industry leaders. CEO World Awards are an annual industry and peers’ recognition program honoring CEOs and organizations of all types and sizes in North America, Europe, Middle-East, Africa, Asia-Pacific, and Latin-America. The Annual CEO World Awards is part of the SVUS Awards® recognition program from Silicon Valley in the United States of America which also includes other programs such as Consumer World Awards, Customer Sales, and Service World Awards, Golden Bridge Awards, Globee Fastest Growing Private Companies Awards, Info Security PG’s Global Excellence Awards, Network Products Guide’s IT World Awards, Pillar World Awards, PR World Awards, and Women World Awards. Learn more about the CEO World Awards at www.ceoworldawards.com. San Diego – July 2, 2018 – RippleNami, Inc., a provider of blockchain data visualization technology, won two prestigious Globee® Awards for “International Business Team of the Year” and “Startup of the Year” for its contribution in Africa. Globee Awards, world’s premier is a “Global Business Awards” program open to organizations worldwide – large, medium, small, & startups, public and private, for-profit, nonprofit and government. Judges from a broad spectrum of international industry representatives determined the 2018 award winners. Winners will be honored in San Francisco on Monday, July 30, 2018, during the annual SVUS Red Carpet Awards Ceremony Dinner in San Francisco and will include finalists, winners, judges and industry stakeholders. Globee Awards were created to honor and generate industry wide recognition of the achievements and positive contributions of organizations and businesses worldwide in every area. An annual industry and peers’ recognition program, Globee Awards honor best companies of all types and sizes in North America, Europe, Middle-East, Africa, Asia-Pacific, and Latin-America, best products, innovations, management and teams, women in business and the professions, and PR and marketing efforts from all over the world. Learn more about the Globee Awards at www.globeeawards.com. SAN DIEGO, Calif. … October 26, 2016 … RippleNami, Inc., a B2B technology company working in developing nations to deliver mapping solutions that solve critical problems, announced today that Jaye Connolly-LaBelle, president and chief executive officer, has been named a finalist in the 2016 Women Who Mean Business Awards, sponsored by the San Diego Business Journal. Now in its 23rd year, the publication takes this opportunity to recognize local-area businesswomen through this prestigious awards program. Finalists span women throughout San Diego across myriad industries and professions, including those who have reached career milestones, made a difference in their communities and set examples for others. Winners will be announced Wednesday, November 9, 2016 at a reception to be held at 11:30 A.M. at the Town and Country Resort & Convention Center, 500 Hotel Circle North, in San Diego. “I am honored to be selected as a finalist in the Women Who Mean Business program for the third time. San Diego is a vibrant community in which I have lived and worked in for decades. I have been fortunate to have been recognized by the San Diego Business Journal several times for my contributions to the local business landscape stemming from the various roles I’ve held here. I am pleased to represent RippleNami and the successes we’ve achieved in this year in the Women Who Mean Business awards, and thank the judges for this honor,” Connolly-LaBelle said. 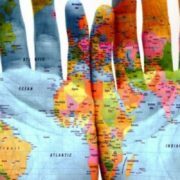 An industry game changer, RippleNami believes that, empowered with real-time, easily accessible information, people around the world can connect and foster positive change. RippleNami is redefining mapping with the first visualization platform that consolidates big data and provides information that really matters to users and their organizations. The Company’s cost-effective, device agnostic cloud-based platform delivers millions of real-time actionable data points on an intuitive map to customers across enterprises, nonprofits and foreign government agencies, enabling critical decision making and enhanced collaboration. With seamless integration, limitless customization and scalable architecture, RippleNami lets people chart their own world, streamlining communication and improving operational effectiveness. 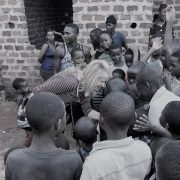 For more information about RippleNami, visit www.ripplenami.com. The clarity and perspective gained during the PWE accelerator will aid RippleNami as we tell the story about our innovative mapping solution that currently is like no other available in the marketplace. This is a message that will now come through loud and clear in our communications tools. Meeting and connecting with like-minded, highly driven, intelligent women has been extremely inspiring. The Midwest hospitality I was exposed to was warm, welcoming and motivating. I was introduced to a new community culture that I didn’t know existed in this area. The people of St. Louis and PWE were very hospitable, and I was fortunate to be introduced to nearly 50 potential investors–truly a robust group. The PWE Startup Accelerator offers a different model than other business accelerators. The mentors and leadership team give a lot of their time–side by side with the CEOs, making introductions and providing expertise on anything that you might need. They are hands on every step of the way, while also giving you the space to run your business. The value of this accelerator is the mentors’ help, guidance and connections…the investment dollar amount should be the fourth or fifth priority for anyone looking to apply. Of course, it was tough being in St. Louis (being from Romania) and having a team back home, but you are truly participating to WORK on your company. You have an opportunity to stand out (in STL) to be unique…people will be transparent and discuss specifics to help you succeed. We aren’t a new company and we thought Business Development was something that we had nailed down, but PWE helped us hone in on WHO our target customer is and WHAT their persona (buying) is. We have a large inbound customer and PWE helped us to focus on how to strategically grow and go after our target customer. If you can answer the questions on the application, you’re ready to participate in the program! But, be ready to have your foot on the pedal and work to grow your business… Things are in high gear but if you are ready to grow and gain traction, APPLY! St. Louis is a great community! The location was a big part of the reason we wanted PWE. We received so many valuable introductions, and these introductions will help our business grow and prosper. You have the opportunity to work with entrepreneurs with mega-successful business ventures. You get real life advice and insights to propel your business forward. You walk away with much more than just funding. The programming, advice and life-long relationships provide guidance now and in the future. This is a transformative experience. If you are unsure if you have an investable business model, start the application. You learn from the application; and you don’t know what you’re missing if you don’t apply. The spirit of PWE is the one of collaboration, support and encouragement. The mentorship and networking are exceptional. You have an opportunity to learn from a team of industry leaders (men and women) who see you as a strong, business professional. I was told multiple times before doing the program that if I wanted to succeed I needed to hire a white Caucasian male to run the company. PWE not only helped with the hard business decisions, they also ensured me that I was making the right choices for my company. The input on how to present Precision Image Analysis to both investors and potential customers has been invaluable. This is CEO school. Just like parenting, where there is no school, there is also no formal process to learn to be a CEO. PWE’s accelerator is a unique environment to learn how to be a better CEO from others who have succeeded in the role, especially women. I’ve been impressed with the caliber of support from the St. Louis community. I had never been to St. Louis before and have enjoyed getting to learn the St. Louis startup ecosystem/culture. This story was created in partnership with the organization listed in the label at the top of this post. We work with a curated list of partners we feel are aligned with EQ’s mission to raise the visibility of and increase connectivity within St. Louis’ startup ecosystem. Read more about partner content here.